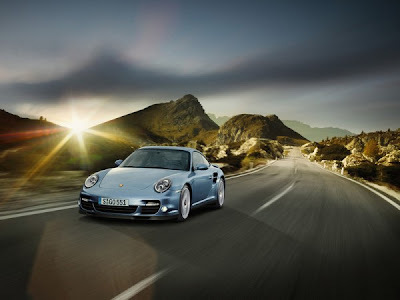 The German sports car maker Porsche will unveil the most powerful version of the 911 Turbo in March at the Geneva Motor Show. 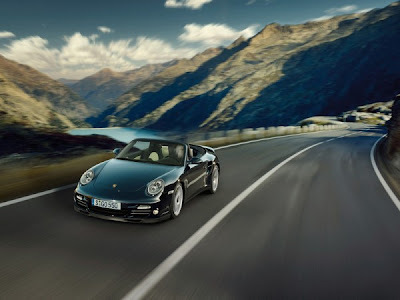 The 2011 911 Turbo S Coupe and Cabriolet will be available in May, 2010 with an MSRP of $159,100 and $170,200 respectively. 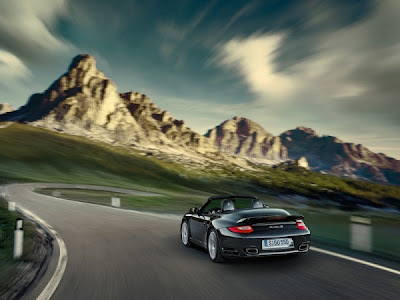 "The 911 Turbo S comes with an increase of 30 HP, for a total of 530 HP, thanks to a six cylinder boxer boosted by a pair of turbochargers complete with Porsche’s variable turbine geometry that reduces lag and increases performance. 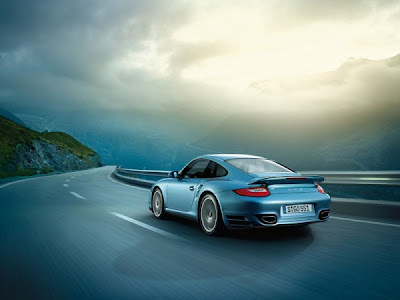 As a result the Turbo S will sprint from 0 to 60 MPH in just 3.3 seconds and go from 0 to 200 km/h (124 MPH) in only 10.8 seconds and will reach a top speed of 195 MPH." The engineers at Dr. Ing. h.c. F. Porsche AG, Stuttgart, have developed a new top-of-the-range sports car for the customer who will only settle for the very best in terms of power, performance and driving dynamics: the 911 Turbo S. The heart of this most exclusive high-performance athlete is of course a six-cylinder boxer boosted by two exhaust gas turbochargers with variable turbine geometry, with an increase in power over the 911 Turbo by 30 to 530 bhp (390 kW). Maximum torque is a most impressive 700 Newton-metres (516 lb-ft). At the same time this new top model comes as standard with all high-tech components available only as options on the “regular” 911 Turbo.